UPDATE: These dates are now sold, but complete the form below and we’ll either find something similar, or this one for a different date. 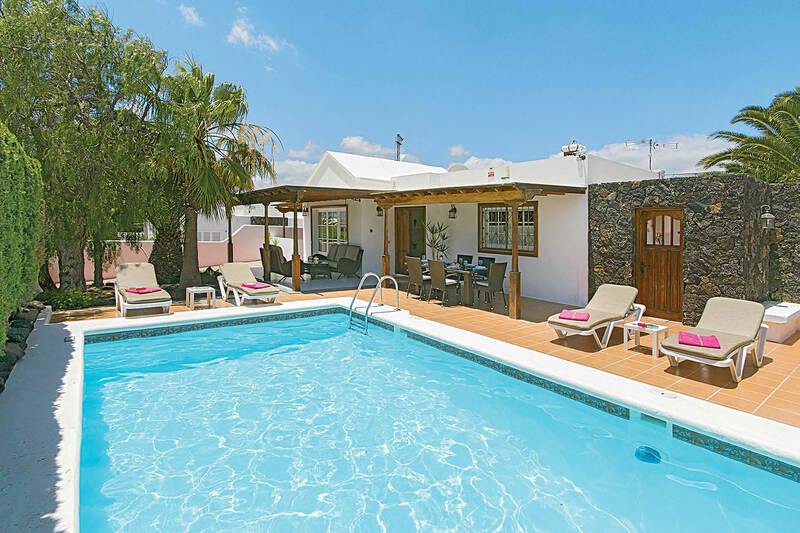 We’ve found a late availability holiday for a couple to enjoy a villa holiday here in Lanzarote, departing on 1st February, which is 8 days from now! You could be relaxing in the sunshine in your hot tub or swimming pool next week! Obviously, being a villa, there is only one available, so it’s first come, first served! It’s to stay in Villa Adsey, which is at the old town end of Puerto del Carmen. The villa has 3 bedrooms and 2 bathrooms, a private heated pool, a hot tub, wifi and a full kitchen. Total price is £547 per person or £1094 in total. As we said at the top, this is a one off, so complete the form now and we’ll call you to book.